Most often, when you need air conditioner repair, you need it NOW. That’s why our valued customers in the Toronto, Mississauga and Scarborough areas choose First Class Heating & Air for their emergency service calls. The last thing you want is a malfunctioning air conditioning system during the sweltering days of summer. We are the ones to call for your emergency repair needs, 24/7.We will answer all your questions and make sure you understand all your options before any repair is made. Your satisfaction is our business. When our trained technicians make an emergency air conditioner repair call, they know that there are often simple solutions to these problems. In these cases, a repair is an easy fix. Is there power to the system? Is there vegetation blocking airflow to the unit? The repair or replacement of a fan motor or condensate line may be in order. Often a fan belt is worn out or there is a refrigerant leak. These are usually very easy solutions to what seems to be an emergency. The compressor is one of the most expensive components to an air conditioning system and often one of the most costly to replace. Our technicians will discuss the repair and the cost of the correction before any work has been started. If the age of the system or lack of proper maintenance indicates further issues may crop up more frequently in the future, it is sometimes more cost effective to replace a system than continuing to put money into constant and inconvenient repairs. Our technicians at First Class Heating & Air are glad to discuss the alternatives and pros and cons of each new system with you so you have all the information to make an educated decision. They can assist you with making the best choice for your home and your budget. We always suggest seasonal, preventive maintenance in order to keep your system running right so problems are discovered before breakdowns occur. Call our office to have a technician conduct a full diagnostic inspection before you need us for an emergency. Cleaning and maintaining your air conditioner insures that it will be properly and efficiently operating when you need it most. Having a clean, well maintained system is your best insurance against emergency visits. At First Class Heating & Air, we are on call to serve you when you need it most. 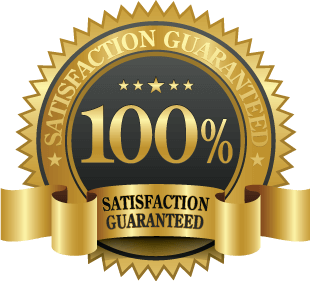 Our reliability and customer satisfaction for air conditioner repair is unsurpassed and we service, repair and install all makes and models. When you call us, you are getting expert, experienced service every time. Trust First Class Heating & Air for all your air conditioning needs, from emergency service to maintenance to installation. We assure you will be comfortable and safe when the weather gets hot.